Bittrex Review – Still the Gold Standard of Crypto Exchanges? Launched in February 2014, Bittrex (bittrex.com) is one of the best-known crypto currency exchanges, one that used to be considered the top dog of the industry, until more attractive alternatives came along (…cough, Binance, cough…). Still, Bittrex’s 24 hour trading volume positions it as one of the top destinations for those looking to buy/sell any one of more than 190 supported crypto currencies. Despite the fact that the quality of the services offered by Bittrex was outstanding in the beginning, the community seems to have turned away from the operator lately, citing a number of major issues with support, ID requirements and the way user balances are handled. What exactly does Bittrex offer though? 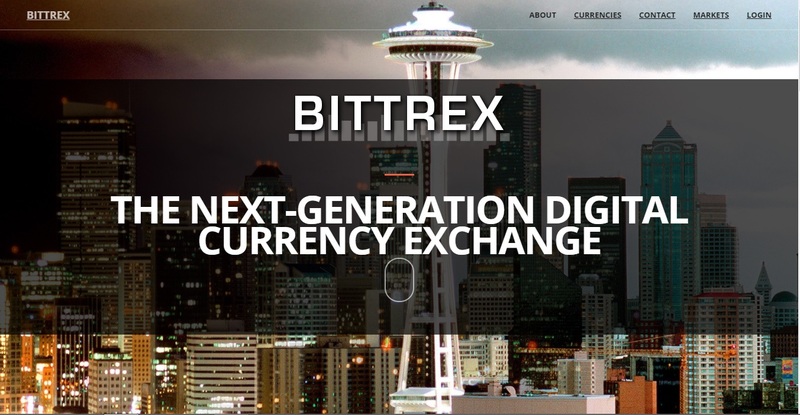 Proclaimed “the next-generation digital currency exchange”, Bittrex offers trading services through a well-established and proven online platform, aimed at more than 190 cryptocurrencies. The tradable currency pairs are currently broken up into three distinct markets: BTC, USDT and ETH. Registering with the operator is simple, easy and fast – theoretically. In practice though, things are different. Right now for instance (December 31, 2017), the exchange does not accept new registrations, citing an unexpectedly large influx of new users, which their systems apparently cannot handle. If that is not a big enough turn-off, they apparently also require a number of scanned documents and even a selfie from their users. Those who do not fulfill these ID requirements, have their accounts severely limited, to the point that it loses all its utility. The trading fees are apparently a little higher than at Binance, though it is safe to say they are still well within industry standards. Currently, they are in the 15% range for small withdrawals, which is indeed rather massive for those looking to empty their accounts bit-by-bit due to the above mentioned limitations. Regarding the verification requirements: it is indeed understandable that some people are not comfortable giving out such a trove of personal information to what’s essentially a random online operation, especially when sometimes their own governments advise them against it. Still, the strident ID requirements have most likely been introduced to make sure that the operation is in full compliance with the legal requirements of the jurisdiction where it is based, which is the US. It also does not help the trust issue some users have with the site that overall, the website is very stingy when it comes to background information on the operation. There have been complaints regarding the fact that one simply does not know who Bittrex really are. They require full ID transparency from their users, while keeping everything under wraps on their end of the bargain. We did some digging in this regard and we found that Bittrex is indeed US-based, and – at least as far as its web-domain information is concerned – it does not have anything to hide. Created in January 2014, the bittrex.com domain name has been registered by a certain Richie Lai, on behalf of Bittrex.com LLC. The address of the registrant is 6077 S.FT. Apache Road, Suite 100, Las Vegas, 89148, Nevada. [email protected] is the email of the registrant, but there is no phone number provided. According to the Bittrex website, the exchange is fully regulated in the US, which would indeed explain the above mentioned strident ID requirements. The license under which the activity currently takes place is New York’s Bitlicense, which means that the exchange can indeed serve New Yorkers too. Two-factor authentication is used and API usage is required from all those looking to make withdrawals. SSL protection is standard throughout the site. The exchange also supports the use of 3rd party trading bots for algorithmic trading, which is a major plus for all those looking to trade their way into profits, exploiting the massive volatility still common with most cryptocurrencies. As far as contact options go, Bittrex’s support staff can be reached through Twitter, Facebook and Slack. They also have Zendesk support and a massive FAQ section. Under the current circumstances, that question is a difficult one to answer. As far as the business model goes, the operation seems healthy, viable and indeed: legitimate. They have made moves over time though, which locked user funds into the exchange, effectively – if not practically – defrauding some of their clients. While it may not be an actual red flag, the lack of information concerning the corporate “parent” of the exchange is simply unacceptable in this day and age. The multitude of user complaints also raise a few question marks, too. Complaints about Bittrex are plentiful, and although few allege the actual stealing of user funds, there are plenty of users calling the operation a scam. One major problem is that the ID requirements currently in place have been introduced abruptly and without giving users the chance to properly assess the coming changes. There are people out there who deposited cryptos with the exchange before the said requirements came into effect, and who do not want to send in the required documents out of privacy-related concerns. Such people now have their funds effectively stuck at the exchange, with no way to move them out. Complaints cover other issues too though: some people have made crypto transfers to the exchange, which failed to arrive. Most users will agree that in its current shape and form, Bittrex support is non-existent. Simply ignoring the tickets sent in by traders is not the way to conduct business in this day and age. Bittrex’s MO regarding their ID requirements is considered borderline scammy by most of their users. That said, from a purely technical perspective, the operation is legit and consistent proof concerning claims of actual theft is yet to be produced. Still, despite their credentials and fame, Bittrex seem to be heading downhill, as better alternatives emerge. What’s your opinion on Bittrex? Share it with us by commenting below this review!